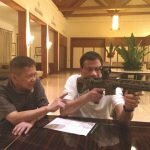 A 100% Filipino company, United Defense Manufacturing Corp. (UDMC) is at the forefront in Southeast Asia in the manufacture of self-loading rifles in calibers 5.56 NATO and 7.62 NATO for both commercial sales and military/LE sales. Its portfolio includes the research, development, prototyping, and production of assault rifles, special-purpose rifles and precision rifles. Its partners in the industry include well-known manufacturers like Dikar S. Coop. BERGARA Spain and BERGARA U.S.A..
UDMC is the holder of several patents for its Pneumatic Valve and Rod Gas-Piston System (PVAR System), the technology that is at the core of UDMC’s modern rifles. It also produces its Direct Gas Impingement rifles. UDMC is certified in ISO 9001:2008 Quality Management Systems by AJA Registrars Ltd., UK. UDMC exports its products to UN-member countries and offers a Build, Operate, Transfer Technology (BOTT) Program to interested corporations and governments. Aside from manufacturing, the BOTT program includes designing, programming, technology training, armorer’s course, firearms proficiency course and marksmanship training. 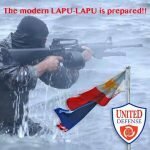 Starting last year, UDMC started selling its products to the Armed Forces of the Philippines, Philippine National Police and other LE agencies. Likewise it has started exporting their products to foreign democratic countries.